A great comprehensive piece by Dr Tim from KI on MyHR. June is Men’s Health Month and June 11-17, 2018 is Men’s Health Week at Partridge Street General Practice. Men are important and Health is important so let’s look at some issues in Men’s Health. 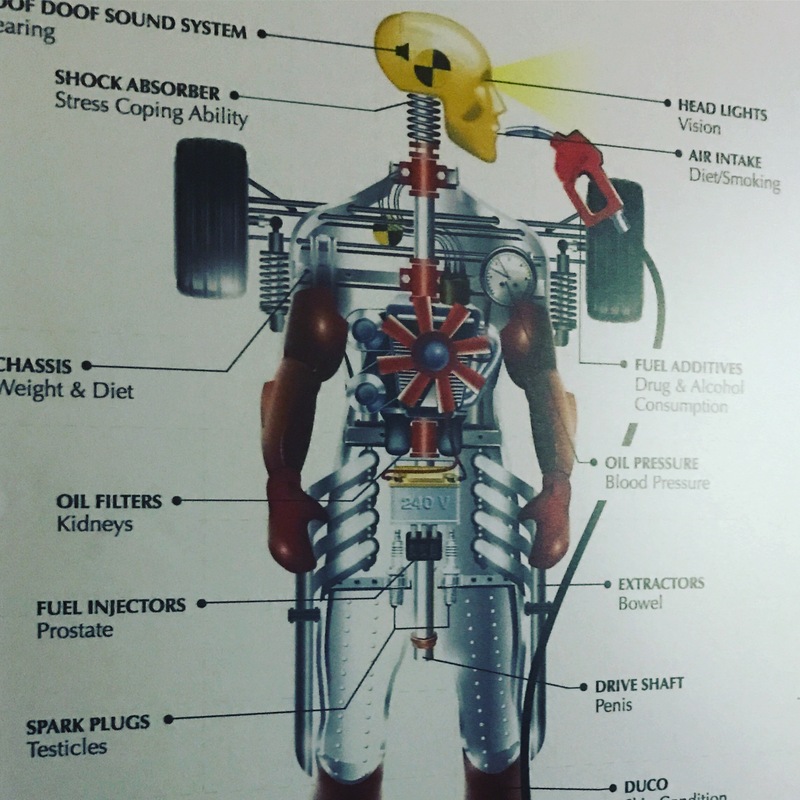 Do you look after yourself like you do your car? Men take their own lives at four times the rate of women (that’s five men a day, on average). Accidents, cancer and heart disease all account for the majority of male deaths. Seven leading causes are common to both males and females, although only Ischaemic heart disease shares the same ranking in both sexes (1st). Malignant neoplasms of prostate (6th), Malignant neoplasms of lymphoid, haematopoietic and related tissue (7th) and Intentional self-harm (10th) are only represented within the male top 10 causes. The above figures are taken from the Australian Bureau of Statistics. Furthermore, there are specific populations of marginalised men with far worse health statistics. These marginalised groups include Aboriginal and Torres Strait Islander men, refugees, men in prison or newly released from prison and men of low socioeconomic standing. What factors in men’s and boy’s environments contribute to the status of male health as indicated in the table above? How can we turn that around and create positive environments in men’s and boy’s lives? We’re going to ask and answer those questions this week. Stay with us online and in person – we’ve got your back! However, it is also Bowel Cancer Awareness Month – so Men and Women over 50 please see your GP or take advantage of the government screening programs. Those of you under 50 – if you notice a change of bowel habit or unexplained loss of weight – come in and see Your GP! 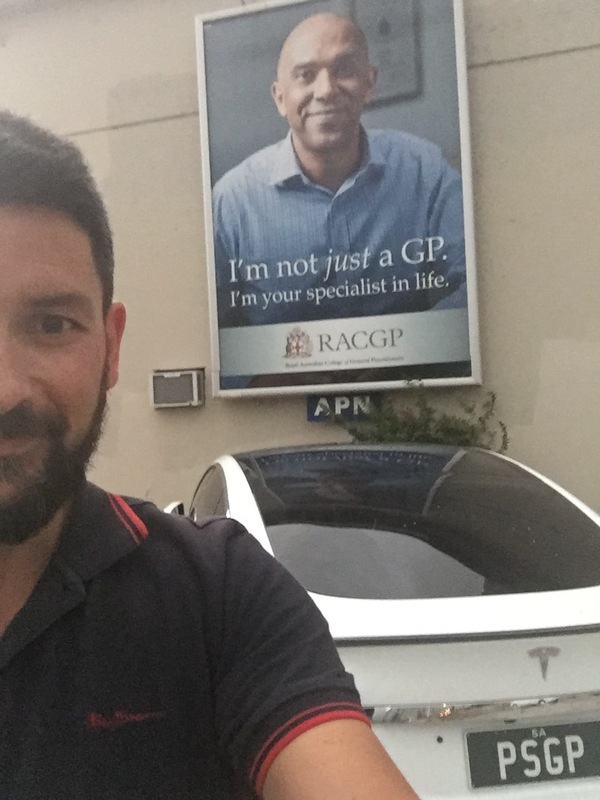 Dr Nick Mouktaroudis is a GP and co-owner at PartridgeGP. He’s passionate about health education, has a special interest in Skin, and a lot of expertise to share when it comes to helping people cope with and improve Skin Conditions. 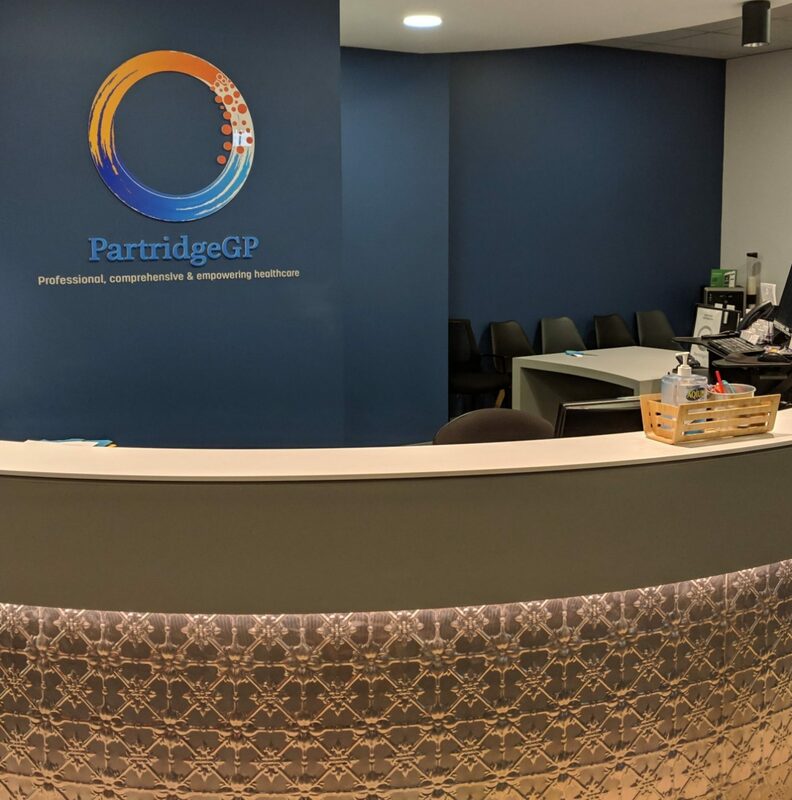 We recently had occasion to think back to how we started Skin Cancer Surgery and Medicine at PartridgeGP and the story is below. Imagine a perfect day in a perfect General Practice. Focus on a busy yet unrushed GP, consulting with another valued patient. The flow of the consult is perfect, the communication great, everything is as it should be. We have to imagine days like this because they very rarely occur. Flow is fleeting and perfection is often aimed for and seldom reached. Going back to that consult, we can see that the GP is busy – but is definitely not unrushed. You can feel the pressure in the room as the patient seeks answers and closure and the GP senses the minutes ticking by. The consult comes to a close and both stand, the patient heading towards the door, the GP wishing them well, the patient’s hand is on the door and then. It happens. The GP turns away from the flashing screen and sees, across the room, a spot on the patients leg. Should we get the patient back at a later date? Offer reassurance we don’t feel confident giving? Or, as the GP in this story does, do you reach for the dermatoscope, call the patient back, and look. There’s no such thing as a quick look and so the light comes out, the gel is applied, and a good thorough look is had. It’s an ugly duckling, a chaotic little mishmash of colours and globules. It would turn out to be a nasty – a nasty better appreciated in the pathologist’s dish than in the patients bloodstream. At the end of the day, the GP sat and wondered how this could be avoided in the future – how could we improve and be better. These challenges see us but we do not always see them. This was our practice and so we had to change. Patient safety is paramount. 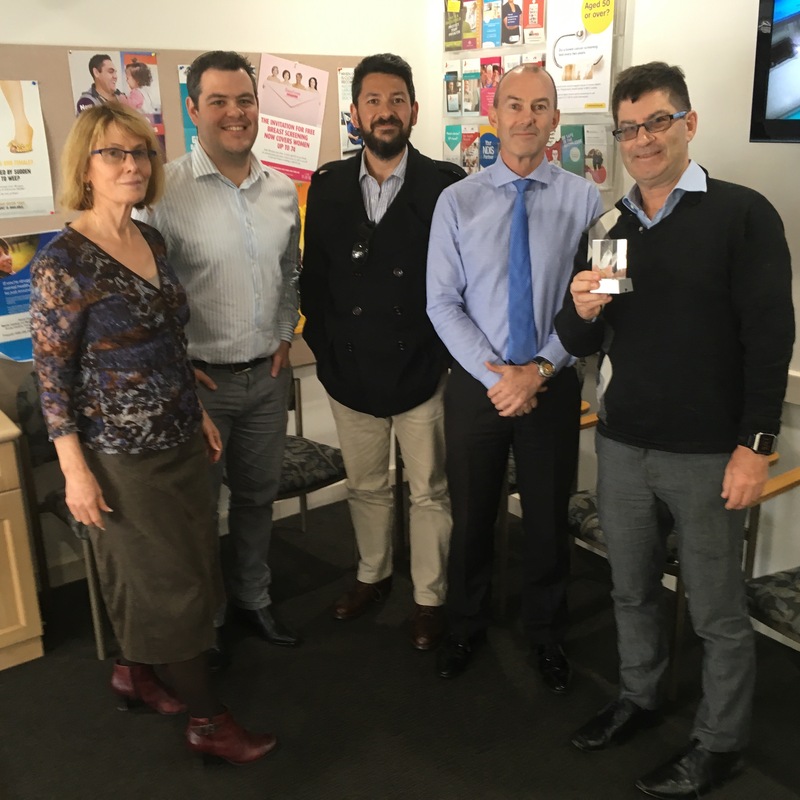 We decided to solve for quality improvement and patient safety at the same time and made the decision to upskill one of our GPs, Dr Nick Mouktaroudis. He undertook multiple courses and extensive study in Primary Care Skin Cancer Medicine, Surgery, Therapeutics, and Dermatology. Following this we spent time and money upgrading our procedure facilities, equipment, and systems to support Dr Nick. We then allocated time for dedicated skin checks and adjusted our online booking and reception protocols. These were the first steps and in conjunction with our most recent AGPAL accreditation we have repeatedly run through this cycle, improving every time. 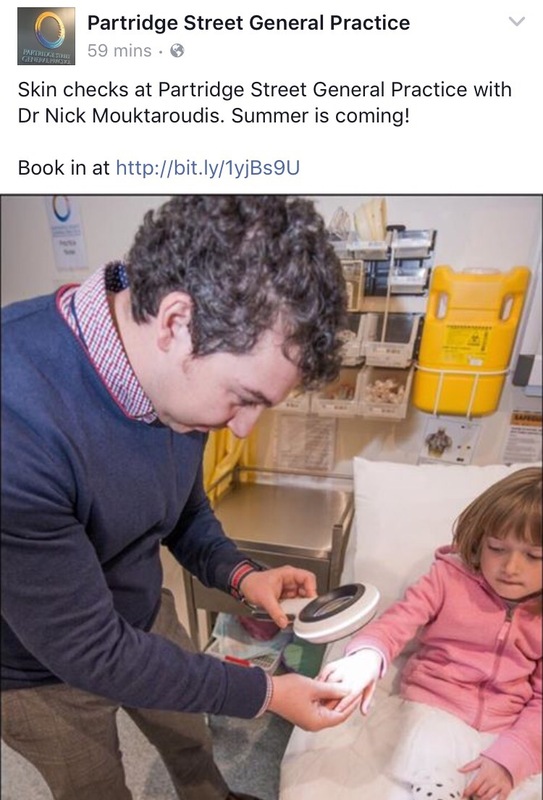 We now have dedicated times for skin checks and skin cancer surgery, as well as protocols, systems, and education supporting Dr Nick and the other GPs in the practice. Patients enjoy seeing a GP they know and trust who can deliver appropriate care at a Primary Care level and price point. We receive great feedback from patients and local sub-specialists. It’s a clear win for patients, GPs, and our practice – and the mindset of continual quality improvement that we share with AGPAL was the way to get there. What is a Skin Check? 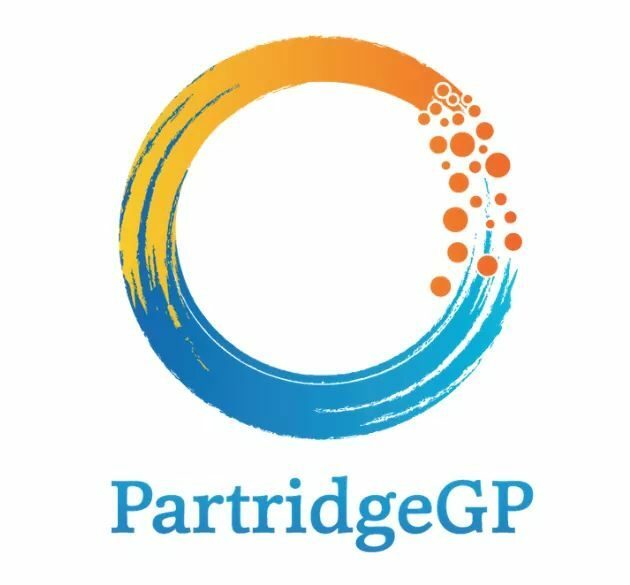 A Skin Check is a Comprehensive Skin History and Examination which is done at PartridgeGP. Your GP will ask you questions to assess the extent of Your risk/exposure to UV radiation and Your risk of solar related cancers. They will examine you head to toe, examining the skin surface, focusing on any areas of concern (including the eyes, mouth, and anywhere else you may have noticed any spots, lumps, or bumps). Are there any tools used for the Skin Check? A proper examination needs proper equipment and we use handheld LED illumination with magnification as well as polarised light and clinical photography. A dermatoscope is used to examine specific skin lesions. This is a particular type of handheld magnifying device designed to allow the experienced examiner to further assess skin lesions and determine whether they are suspicious or not. Who should have a Skin Check? We encourage all Australians over the age of 40 to have a Skin Check annually. Australians have one of the highest rates of skin cancers in the world. Australians who have above average risks should be having Skin Checks before the age of 40 and sometimes more than annually. You should have a Skin Check at any age if You are concerned about Your skin or particular skin lesions/areas. We ask You to identify any lesions of concern prior to the Skin Check wherever possible. These may include new lesions that You have noticed or longstanding lesions that may be changing in some way or that You are concerned about. If You are worried – Ask! Does My GP take photos of My Skin? During a skin check at PartridgeGP Your GP will ask Your Specific Consent to take photos if they are concerned or want to make note of a particular skin lesion. Photographs are useful as an adjunct to description of the lesion and act as a reference to position and comparison if required. The photos will be uploaded onto Your Private Medical Record at PartridgeGP. What if My GP finds something? This will depend on what Your GP has found. If they are concerned about a particular skin lesion they may suggest a biopsy to clarify the diagnosis. A biopsy is a surgical procedure during which they take an appropriate sample of tissue from the lesion of concern and send it to a pathologist for review. Generally pigmented lesions (coloured spots), will be biopsied in their entirety whereas non pigmented skin lesions may be sampled partially if the lesion is too large to sample in its entirety. The results of the pathology report will guide further treatment. Your GP may elect to treat without a biopsy if they are confident of the diagnosis. This may include freezing/cauterising a lesion, cutting it out (excising), or offering topical treatments such as creams. Biopsies are scheduled in the PartridgeGP theatre and our Practice Nurse will assist Your GP. What do I wear for a Skin Check? Your GP will ask to examine you down to your underwear. A sheet or towel will be provided for you to preserve your comfort and dignity. A chaperone (Our Practice Nurse) is always offered. Please avoid makeup or nail polish as the Skin Check involves the face and skin under the nails. How long is a Skin Check? Allow half an hour for Your GP to perform a thorough history and examination. Do I need to see My GP or should I see a dermatologist? GPs are Primary Care Physicians on the front line of Skin Cancer detection. All GPs can check your skin, though not all GPs have formal training or a specific interest in skin cancer medicine and dermatoscopy. Dr Nick Mouktaroudis has trained extensively in General Practice, Skin Cancer Medicine and Surgery, and has formal qualifications in Skin Cancer Medicine. Dermatologists are non-GP specialists in all skin conditions including Skin Cancer Medicine and Surgery although some will focus on other skin conditions. Can I do more than a Skin Check? Wearing sunscreen regularly and on all sun exposed areas. Wear Hats and Sunglasses when appropriate. Be aware of Your skin – both You and Your partner can check at Home. Book Your Skin Check Right Here. Need more information? Leave a comment or see us in person. We’re Here to Help! 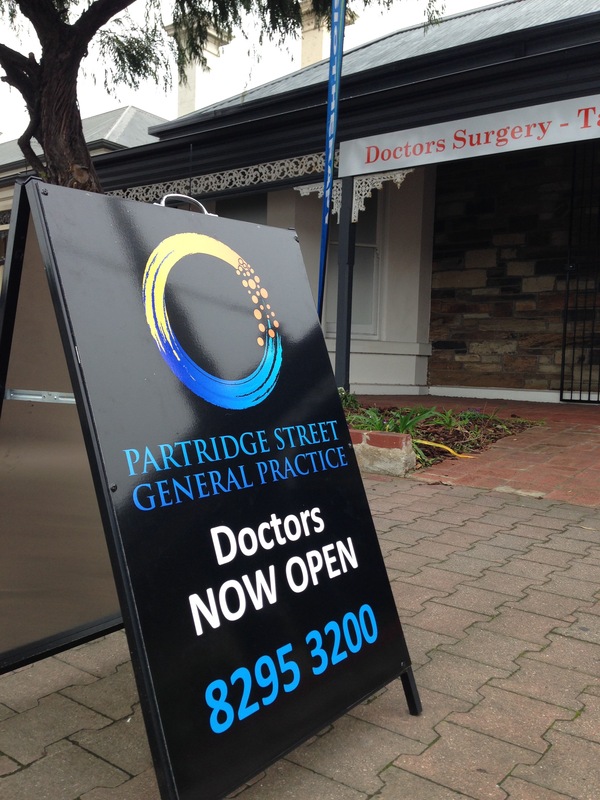 Spring is here but it has been a big flu season at Partridge Street General Practice! What should you do when you have a cough, cold, or sore throat? Should I be on antibiotics? How do I stay healthier? Any other ways to stay healthier? And, of course, What should I do instead? Need more information? Leave a comment or see us in person. Dr Nick Mouktaroudis is a GP and co-owner at Partridge Street General Practice. He’s passionate about health education, has a special interest in Skin, and a lot of expertise to share when it comes to helping people cope with and improve Skin Conditions. Let’s hand over to Dr Nick! A Skin Check is a Comprehensive Skin History and Examination which is done at Partridge Street General Practice. During a skin check at Partridge Street General Practice Your GP will ask Your Specific Consent to take photos if they are concerned or want to make note of a particular skin lesion. The photos will be uploaded onto Your Private Medical Record at Partridge Street General Practice. Biopsies are scheduled in the Partridge Street General Practice theatre and our Practice Nurse will assist Your GP. Dermatologists are sub-specialists in all skin conditions including Skin Cancer Medicine and Surgery although some will focus on other skin conditions. ‘Tis better to give than receive. 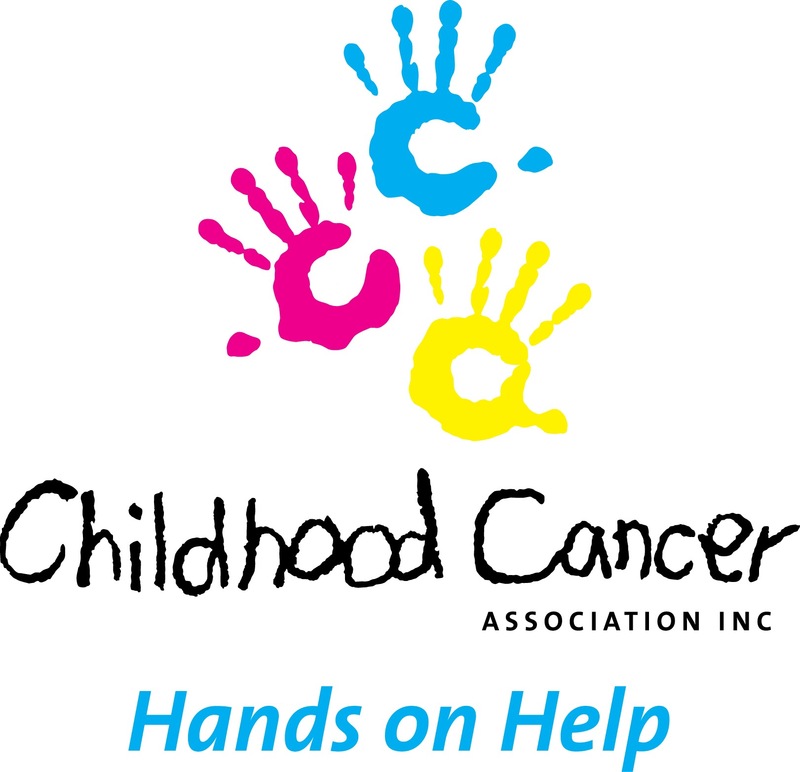 Partridge Street General Practice is glad to announce that we’ll be raising money for Childhood Cancer Association by running (or walking) at the City to Bay 2017. Last year was a great success with plenty raised for Zaidi Ya Dreams orphanage and we hope to improve this year. 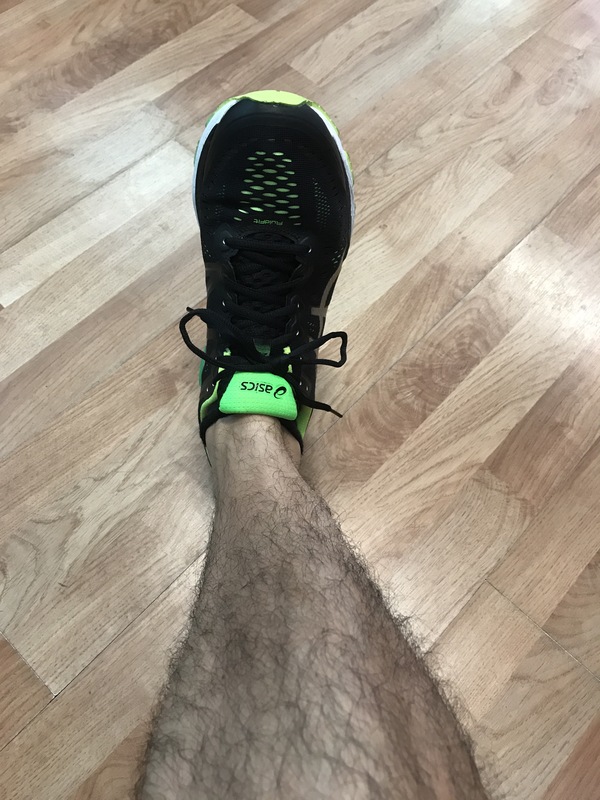 So get your runners on and run, walk, and give! You’ll feel better! June is Men’s Health Month and June 12-16 is Men’s Health Week at Partridge Street General Practice. Men are important and Health is important so let’s look at some issues in Men’s Health. Remember those challenges of life? Men face challenges – we have to be providers, to be strong, to keep our emotions bottled up. Challenges are faced with solutions…or avoided with distractions. Let’s look at a solution. Physical Activity. This is a subject close to my heart and I’ve talked about it a few times before. In fact, you might even say I’ve talked about it a lot. 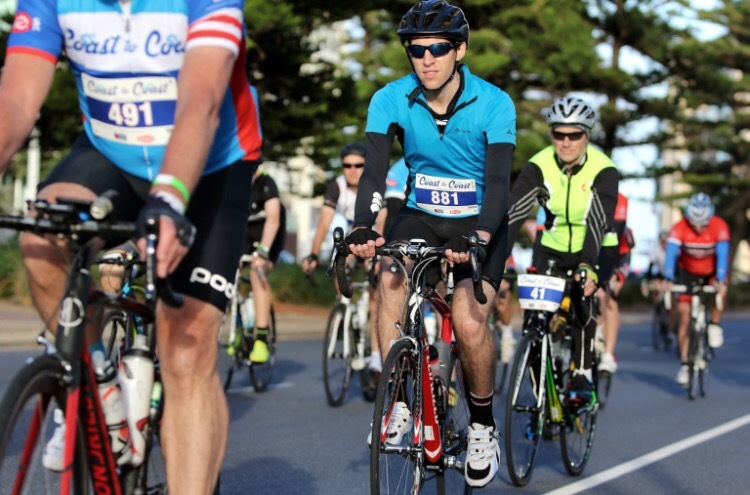 What can Your GP do to help you get more physical activity into your life? We can explore specifics in person, but here are the basics. Remember, getting physical activity back into your life can be hard, and many people won’t get it right first try. Your GP knows this and won’t give up on you. We can abandon a plan, but we won’t abandon you. So Men, Partridge Street General Practice is going to meet you halfway. We’re reaching out to You and we’re looking forward to you reaching back to us. We challenge you to get healthier with us. 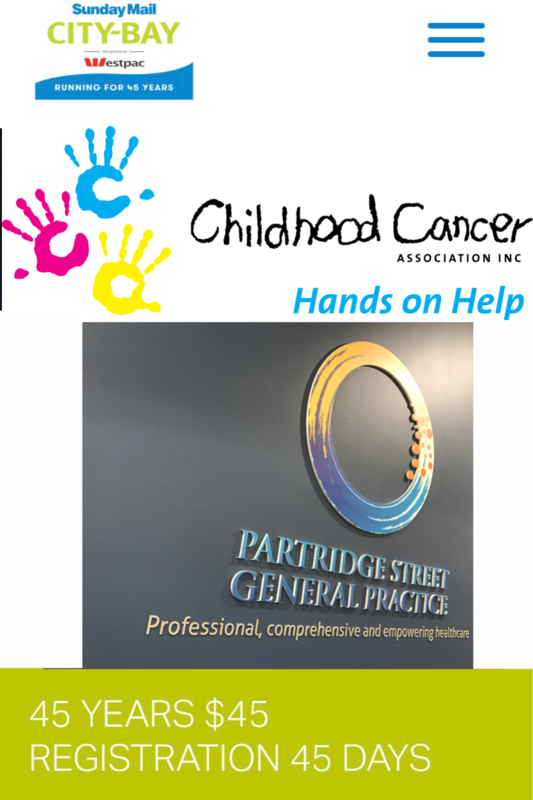 We’re going to do it, we’re going to live it, and the team at Partridge Street General Practice are going to run the City to Bay this year for the Childhood Cancer Association. Support them while we support you! See you then or in person if you’d like to talk. In life we all face challenges. Men face challenges – we have to be providers, to be strong, to keep our emotions bottled up. Challenges are faced with solutions…or avoided with distractions. Smoking is unequivocally a distraction from the challenges of life. Many patients say to me that they smoke because they’re bored or because it’s ‘their time’. Lets try another way. It’s healthier, you’ll live longer, and be fitter. You’ll also have more money, smell better, and be more attractive. What can Your GP do to help you give smoking the boot? We ask you about your smoking, get an idea of how much and when you smoke, and then go into why you smoke. What does it do for you? We can then help by offering some solutions rather than distractions. Counselling, Psychotherapy, Hypnosis, and medications are all options we can explore in person. Remember, smoking is addictive, and many people will not quit for good the first time they try. Your GP knows this and won’t give up on you. We can abandon a plan, but we won’t abandon you. Sit down. Have a think about how much you smoke (and what you smoke) and why and when you smoke. How did you go? See you next post or in person if you’d like to talk.